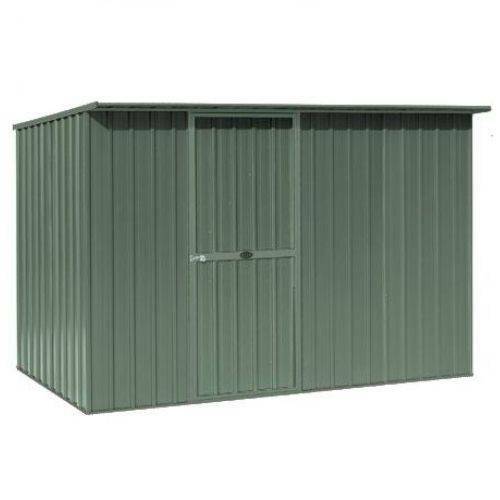 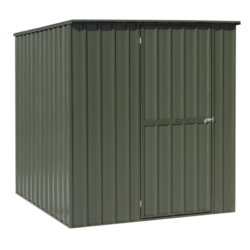 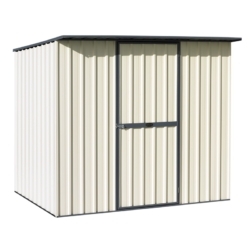 3.03W x 1.53D x 1.83H (low side) sloped roof garden shed with single door. 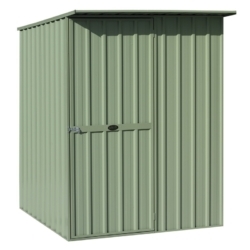 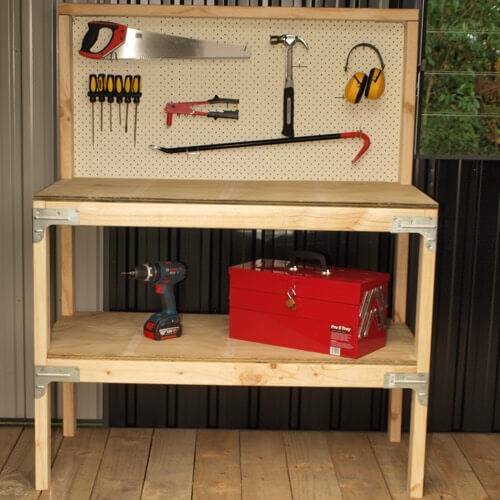 If you have a long narrow space that is going to waste, why not put this garden shed there and make use of it. 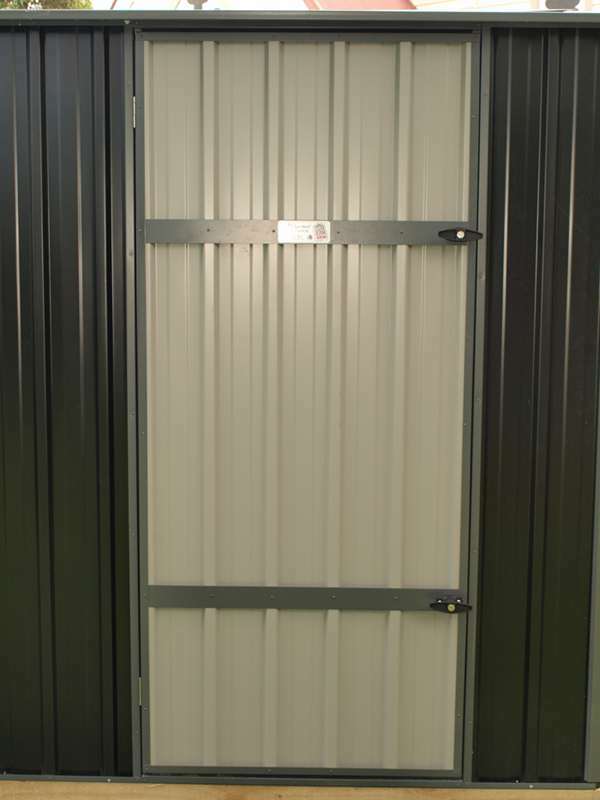 We can move the door to the end wall for easier access. 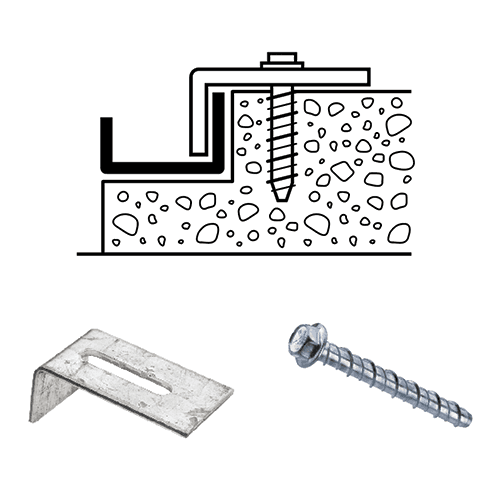 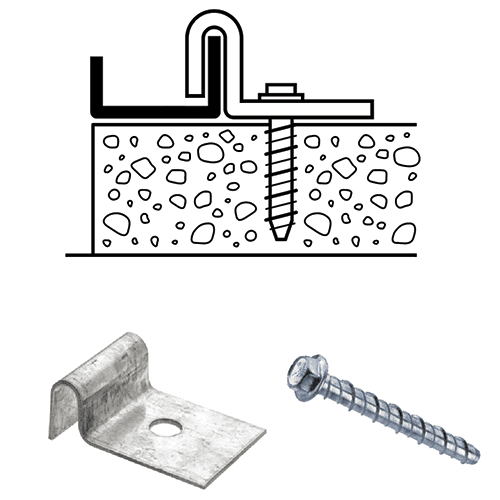 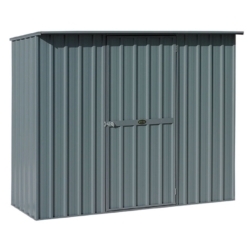 Also available in low cost Alu-Zinc, if looks are not so important. 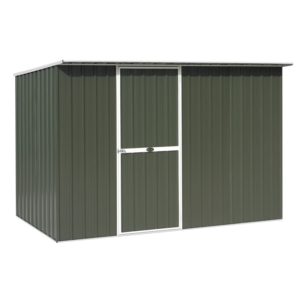 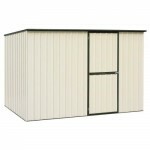 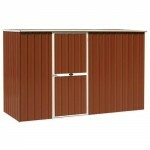 A 3.0 x 1.5 metre sloped roofed kit set garden shed available in zincalume or a wide range of coloursteel colours.